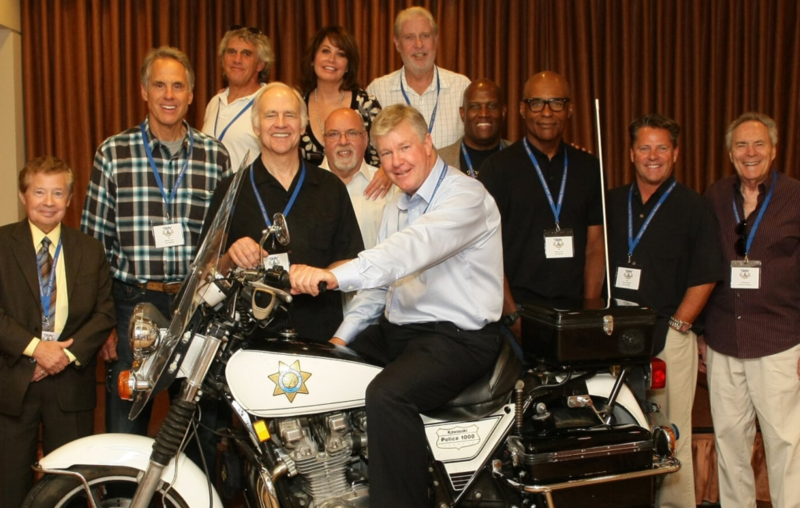 The “CHiPs” 40th Anniversary Reunion has been scheduled for Saturday, September 23, 2017 at the Hilton Los Angeles Airport in Los Angeles, California. Confirmed guests include Larry Wilcox, Robert Pine, Brodie Greer, Paul Linke, Lou Wagner, Lew Saunders, Bruce Penhall, Larry Mollin (script writer), Shelly Levine (wardrobe manager), Brianne Leary, and Cy Chermak. (Erik Estrada is unable to attend due to a previous commitment.) The event will have CHP Kawasakis, representatives from the California Highway Patrol, and a screening of the “CHiPs” blooper reel. All proceeds after the event expenses are paid for will be donated to the CHP 11-99 Foundation, which benefits the families of officers killed or disabled in the line of duty. Tickets will go on sale for $35 on April 4th. You can get more information at chips40th.com.